We have done many theme parks, but this is one that our family will always come back to time and time again due to it being the real deal and perfect for any family. 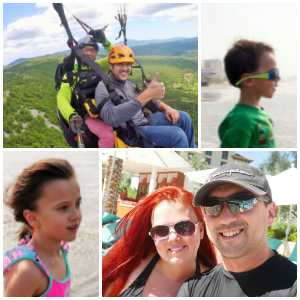 When it comes to the hotel it’s quite possibly the best for both kids and adults. 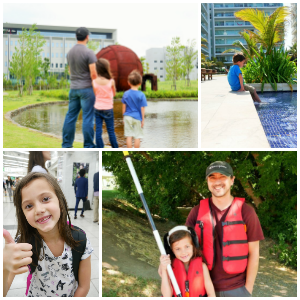 As adults, you can have as much or as little alone time since there are always activities going on to keep the kiddos busy. Our kids especially loved the magic shows and the magic school where the magician teaches the kids how to do some tricks. There are so many LEGOS to play with that our son told me one day that he could just sit in the lobby all day building cool stuff. If you can get your kids past the lobby you will discover so much more magic in your room including a treasure hunt with clues that leads to a secret treasure box with LEGOS that they can take home. We have had an adventure room and a pirate room and both of them were amazing. Every aspect of the hotel is kid-friendly from the elevators that play LEGO movie music and have dance lights to the amazing breakfast complete with plastic colorful plates just for kids. Of course, you don’t just go to LEGOLAND Malaysia for the hotel… there’s also the amazing theme park and waterpark! Two of my new favorites at the LEGOLAND Malaysia theme park is The Great LEGO Race which is one of the world’s first VR coasters and The LEGO Ninjago Ride. These two rides are super exciting editions to an already super fun park. Our kids really love the whole Ninjago area as they can see all their favorite characters in LEGO form. To cool down on those hot Malaysian days I highly recommend getting a combo ticket so you can enjoy theme park as well as the water park. The lazy river and “build your own raft” are favorites of our family and nothing is better than cooling down and chilling for a few hours at the waterpark. 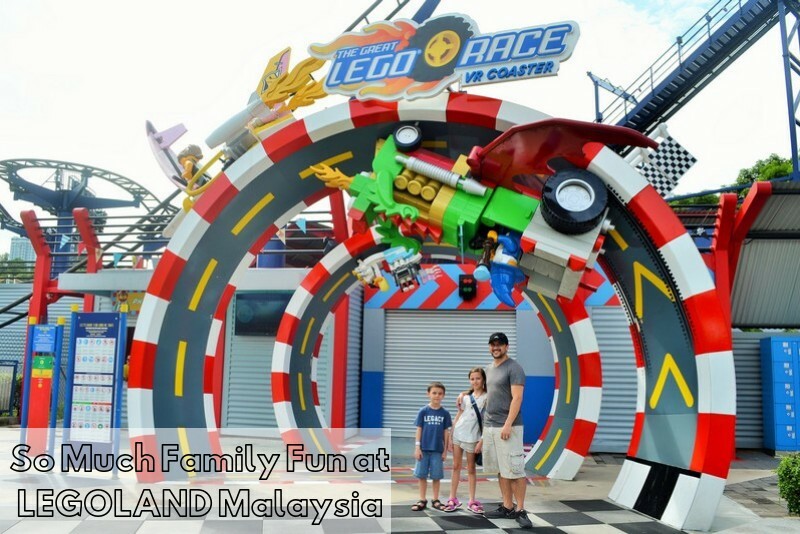 While most kids and parents will be running to get on the next best ride I have to point out the activities that are truly amazing at LEGOLAND Malaysia that aren’t rides. You might miss out big time on these if you only head to the rides. First of all, it’s air-conditioned! Second of all, it’s so much fun! At the Build & Test kids can put their LEGO building skills to the test and see if their creations stand up. Our kids absolutely loved building little cars and seeing if they would go down the racetrack (it’s harder than you would think) and also seeing if they could build an earthquake-proof building. This is something you could really spend at least an hour at so be sure to plan ahead. This was such a cool experience for our whole family and so much hard work goes into making this show amazing. This takes real people mastering what I guess you would consider puppets, but they are really so much more than that. This is something that has to be seen so be sure to check this out! We had never done this before so when we heard that our kids could program robots, we thought that was pretty cool. It turned out to be so much more than that and our kiddos got to also be doctors programming a robot to save their patient. This was so much fun, but also a fantastic learning experience that every family should try out at LEGOLAND Malaysia. Also with the holidays coming up, you can’t miss the LEGOLAND Malaysia Winter Wonderland! This Brick-Tacular event happens every December and you can enjoy an Arctic LEGO celebration. This is a great time to plan a trip to LEGOLAND Malaysia but be sure to plan in advance if you want to stay at the hotel as well. This year they had a LEGO Advent Calendar Draw – Tons of amazing prizes. 31 windows for each day of December. Every day one lucky guest will win a prize. Festive buildings and characters and so much more! So if you miss it this year be sure to plan for next year. For all our Singaporean readers be sure to plan your staycation at LEGOLAND Malaysia this year as it’s just a quick trip over to Johor Bahru! One small train or bus ride and you are there! For everyone else head over here to start planning your amazing trip to LEGOLAND Malaysia!